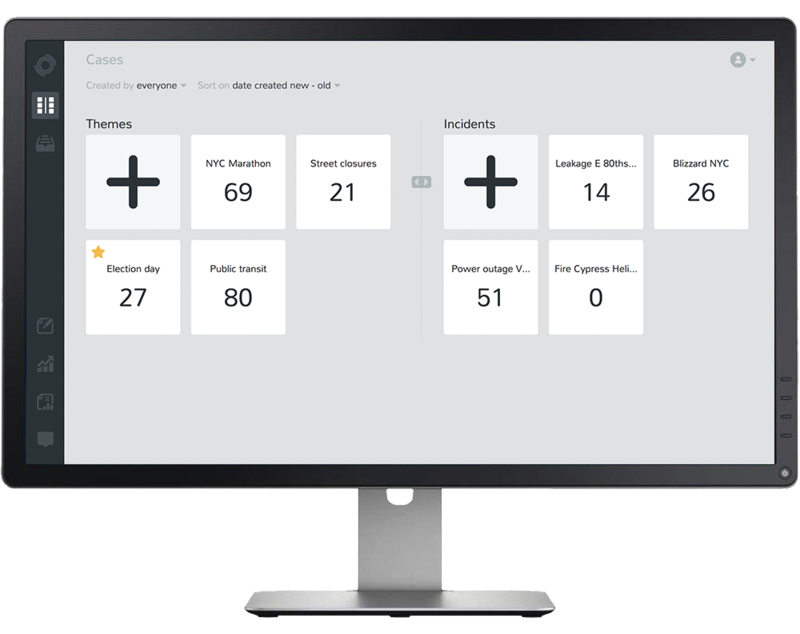 Empower your daily operation with real-time insights from social media. Detect events. Track incidents. Manage crises. Avoid sifting through 99% of meaningless chatter. Simplify your analysis process using our sophisticated algorithms. 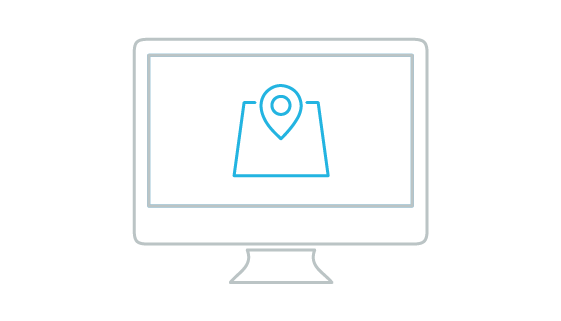 By aggregating location based content, we are able to identify the origin and impact area of an incident. Imagine relying on the expertise of your brightest peers. 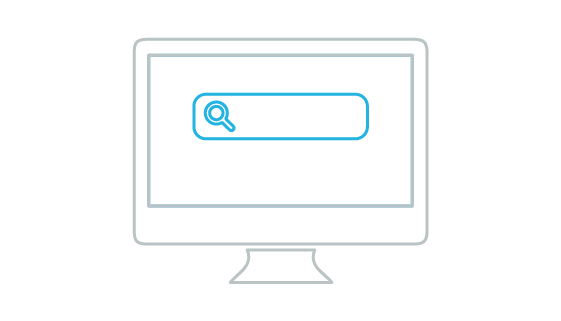 Our semantic filtering engine has been built with their support. Our tools are designed for teamwork. They are used in emergency dispatching centers every day, covering teams of 2-100 users. 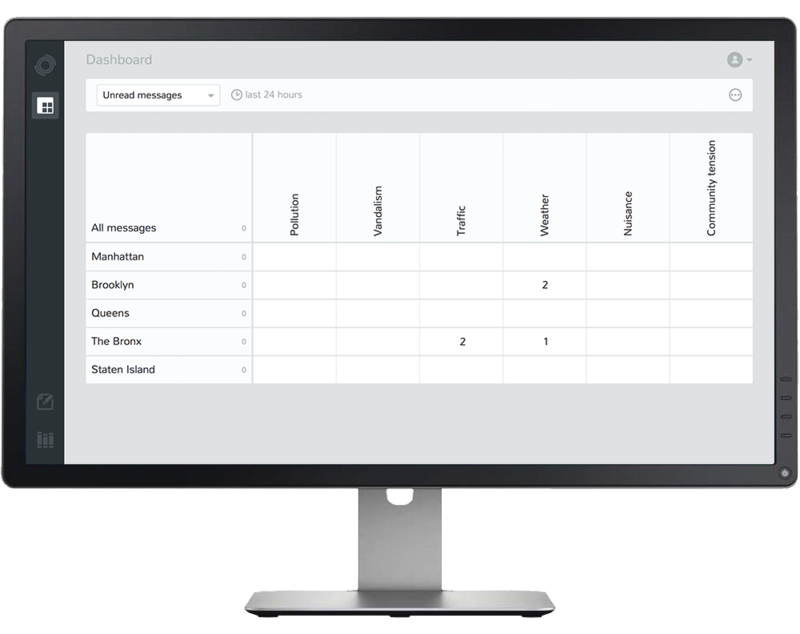 Send out reports whenever you want. We love reports, so we designed them to be beautiful in every aspect, and easy to create. Find out instantly when events emerge. Combine our smart algorithms with automated notifications and be proactive. 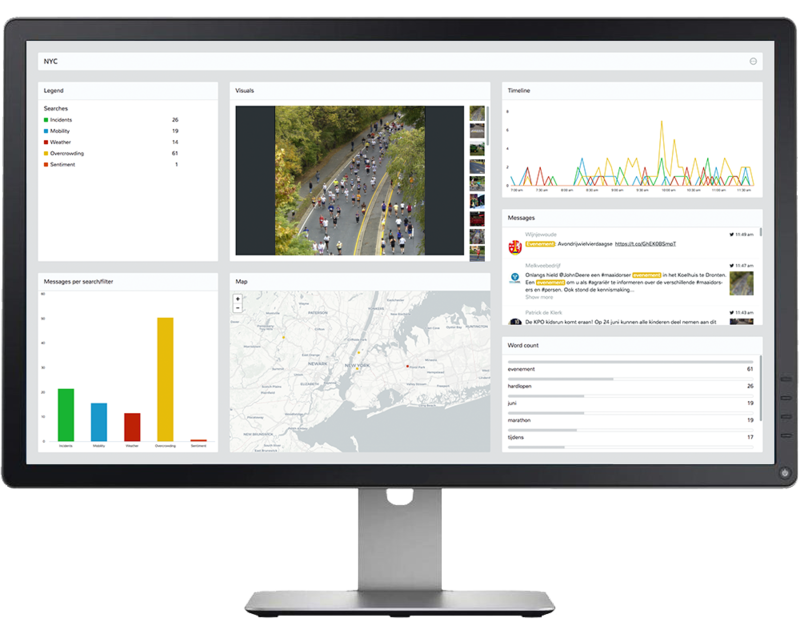 PublicSonar is a powerful social media monitoring tool. It is designed to process billions of interactions from Twitter, Youtube and Facebook, and give you insights on what is happening. Whether you want to detect earthquakes or build an operational picture of a crisis, our tools and algorithms are designed to handle these situations easily.